1.) Familiarise yourself with the school – Throughout the school day you will do a lot of moving between classrooms. It’s handy to know where each lesson takes place and helps to make sure you’re on time! 2.) Make use of your planner – In the Senior School you need to be well organised; use your planner to keep track of deadlines and prioritise your workload. Don’t forget to get it signed weekly by a parent or guardian! 3.) Ask for help – There will always be someone on hand to offer support, whether it be a teacher or classmate, don’t be afraid to ask. 4.) Make the most of the opportunities on offer – there are lots of extra-curricular activities to choose from, you will no doubt find something that appeals to your interests! Or you could try something new? 5.) Try your best – No-one can fault you if you do everything to the best of your ability. 6.) 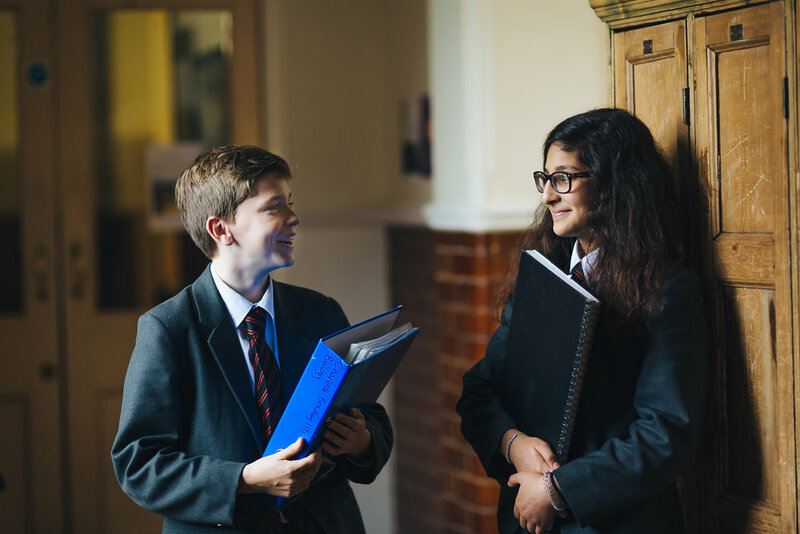 It’s not as scary as you think – Everyone new to Hymers is in the same boat and it’s our job to make your transition to Senior School is as easy and straightforward as possible. P.S - We will be catching up with some of our new students to see how they are settling in to the Senior School - watch this space!